Bangladeshi model Hasin becomes Veet channel I top model winner. Her full name is Hasin Rouson Jahan. Finally Hasin marriage complete first time both family celebrate their engagement but again both family wants their marriage as early as soon. Last 6th 2012 Hasin house in Rajshahi their marriage programme has completed with home environment. However, Hasin husband name Maruful Islam his occupation business and he was ex-student North South University. He also completed his MBA. On the other side, Hasin is a student of Dhaka University and her subject history. Recently she has completed her MA final examination. 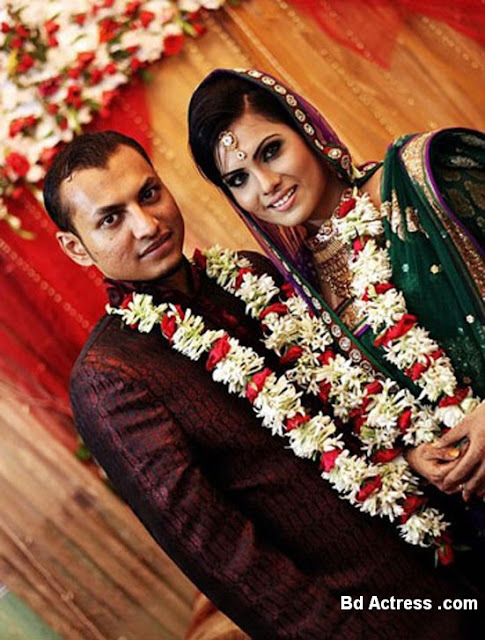 Bangladeshi actress Hasin says my husband is a gentle man but before of marriage we did not know each other, please trust me. Love or relation is was totally wrong talk. Bd model Hasin has completed many drama and some telefilms such as Shoka He, Babui paker basha, Norom roder om and telefilms Amader shoto nodi. Bedsides Hasin also performed much serial drama. Hasin says further I will keep my modeling and acting.